Now how to get it back? I found this strange tutorial, suggesting to use Textport and showing something incredible. Is it possible to unhide nodes with the same simplicity as I faced hiding them? Version 16.5 of Houdini has solved this problem. 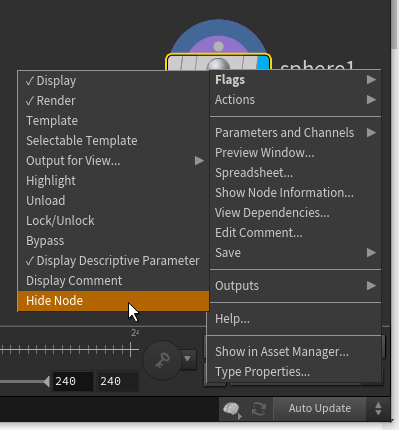 In the new version, clicking again hides the node as well as unhide. It is now a toggle - Hide/Unhide node. Not the answer you're looking for? Browse other questions tagged houdini or ask your own question.